This is a set of the cool Clean Cut Micro Cutters from Hakko. These cutters have a nice angled, sharp tip, making them perfect for cutting nubs of tires to tune the tread for certain track conditions, saving you time and effort! For instance most Pro-Line team drivers cut the inside and outside set of pins on the tires at a 45 degree angle, to avoid catching ruts when the track conditions are rough. These are also some of the best side cutters your money can buy! These will cut anything, super clean. 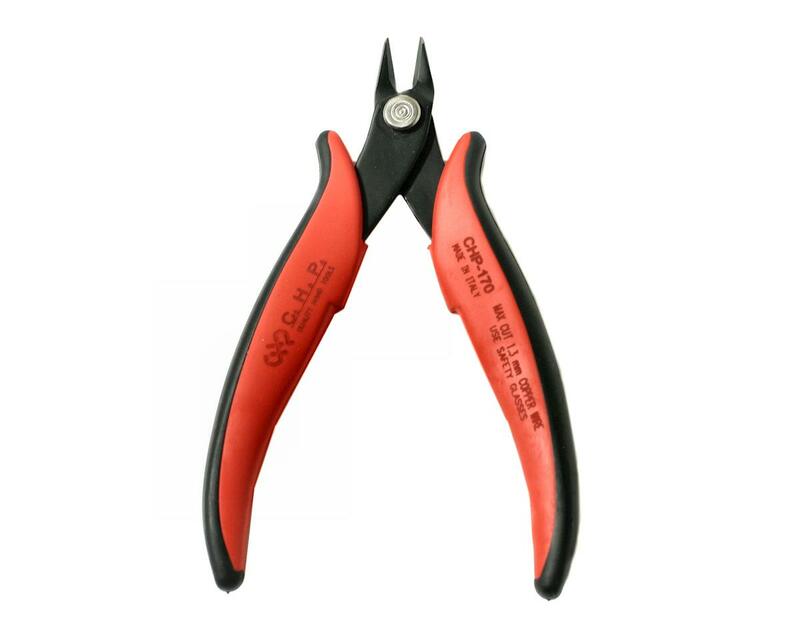 The best for cutting wires for soldering. Good quality and feel and cuts extremely close. These are not over priced. 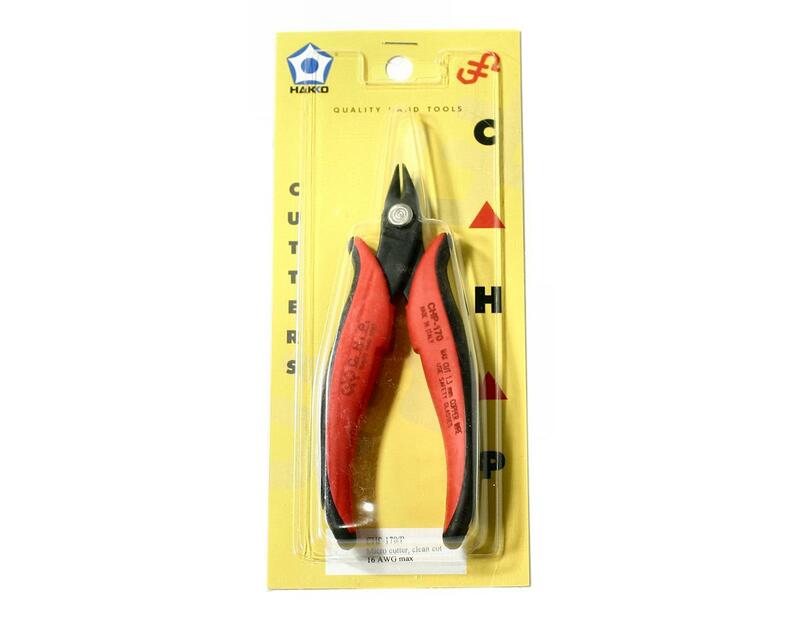 Great cutters and Hakko quality. No regrets with this purchase. Excellent cutter. Perfect for trimming new plastic parts from buggy kits and flush cutting zip ties.